In March 2017, Microsoft released a security update for various versions of Windows, which addressed a remote code execution vulnerability affecting a protocol called SMBv1 (MS17-010). As this vulnerability could allow a remote attacker to completely compromise an affected system, the vulnerability was rated "Critical" with organizations being advised to implement the security update. Additionally, Microsoft released workaround guidance for removing this vulnerability in environments that were unable to apply the security update directly. At the same time, Cisco released coverage to ensure that customers remained protected. The following month, April 2017, a group publishing under the moniker "TheShadowBrokers" publicly released several exploits on the internet. These exploits targeted various vulnerabilities including those that were addressed by MS17-010 a month earlier. As is always the case, whenever new exploit code is released into the wild, it becomes a focus of research for both the information security industry as well as cybercriminals. While the good guys take information and use it for the greater good by improving security, cybercriminals also take the code and attempt to find ways to leverage it to achieve their objectives, whether that be financial gain, to create disruption, etc. Today, Talos is disclosing the discovery of two remote code execution vulnerabilities which have been identified in the Gdk-Pixbuf Toolkit. This toolkit used in multiple desktop applications including Chromium, Firefox, GNOME thumbnailer, VLC and others. Exploiting this vulnerability allows an attacker to gain full control over the victim's machine. If an attacker builds a specially crafted TIFF or JPEG image and entices the victim to open it, the attackers code will be executed with the privileges of the local user. Talos is disclosing a pair of code execution vulnerabilities in Lexmark Perceptive Document Filters. Perceptive Document Filters are a series of libraries that are used to parse massive amounts of different types of file formats for multiple purposes. Talos has previously discussed in detail these filters and how they operate. The software update to resolve these vulnerabilities can be found here. Today, Talos is publishing a glimpse into the most prevalent threats we've observed between August 11 and August 18. As with previous round-ups, this post isn't meant to be an in-depth analysis. Instead, this post will summarize the threats we've observed by highlighting key behavior characteristics, indicators of compromise, and how our customers are automatically protected from these threats. In the past few months, Talos has observed an uptick in the number of Chinese websites offering online DDoS services. Many of these websites have a nearly identical layout and design, offering a simple interface in which the user selects a target’s host, port, attack method, and duration of attack. In addition, the majority of these sites have been registered within the past six months. However, the websites operate under different group names and have different registrants. In addition, Talos has observed administrators of these websites launching attacks on one another. Talos sought to research the actors responsible for creating these platforms and analyze why they have become more prevalent lately. In this blog post, we will begin by looking at the DDoS industry in China and charting the shift toward online DDoS platforms. Then we will examine the types of DDoS platforms created recently, noting their similarities and differences. Finally, we will look into the source code likely responsible for the recent increase in these nearly identical DDoS websites. Since public disclosure in April 2017, CVE-2017-0199 has been frequently used within malicious Office documents. The vulnerability allows attackers to include Ole2Link objects within RTF documents to launch remote code when HTA applications are opened and parsed by Microsoft Word. In this recent campaign, attackers combined CVE-2017-0199 exploitation with an earlier exploit, CVE-2012-0158, possibly in an attempt to evade user prompts by Word, or to arrive at code execution via a different mechanism. Potentially, this was just a test run in order to test a new concept. In any case, the attackers made mistakes which caused the attack to be a lot less effective than it could have been. Analysis of the payload highlights the potential for the Ole2Link exploit to launch other document types, and also demonstrates a lack of rigorous testing procedures by at least one threat actor. Attackers are obviously trying to find a way around known warning mechanisms alerting users about potential security issues with opened documents. In this blog post we analyse what happens when an attack attempts to combine these two exploits in a single infection chain and fails. Although this attack was unsuccessful it has shown a level of experimentation by attackers seeking to use CVE-2017-0199 as a means to launch additional weaponized file types and avoid user prompts. It may have been an experiment that didn’t quite work out, or it may be indication of future attacks yet to materialise. Microsoft has released its monthly set of security advisories for vulnerabilities that have been identified and addressed in various products. This month's advisory release addresses 48 new vulnerabilities with 25 of them rated critical, 21 rated important, and 2 rated moderate. These vulnerabilities impact Edge, Hyper-V, Internet Explorer, Remote Desktop Protocol, Sharepoint, SQL Server, the Windows Subsystem for Linux, and more. In addition, Microsoft is also releasing an update for Adobe Flash Player embedded in Edge and Internet Explorer. Parser vulnerabilities in common software packages such as Adobe Acrobat Reader pose a significant security risk to large portions of the internet. The fact that these software packages typically have a large footprints often gives attackers a broad attack surface they can potentially leverage for malicious purposes. Thus, identifying vulnerabilities and responsibly disclosing them is critical to eliminating attack vectors that may otherwise be exploited. Today, Talos is disclosing a vulnerability that has been identified in Adobe Acrobat Reader DC. The vulnerability, if exploited, could lead to arbitrary code execution on affected devices. As part of the coordinated effort to responsibly disclose the vulnerability, Adobe has released a software update that addresses the vulnerability. Additionally, Talos has developed Snort rules that detect attempts to exploit the flaw. 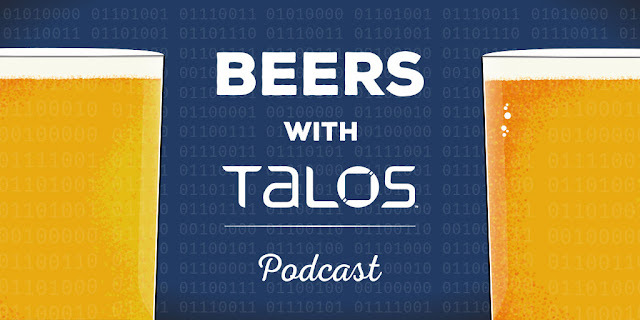 Vulnerabilities discovered by Aleksandar Nikolic and Tyler Bohan of Cisco Talos. Today, Talos is disclosing multiple vulnerabilities that have been identified in the Kakadu JPEG 2000 SDK. The vulnerabilities manifest in a way that could be exploited if a user opens a specifically crafted JPEG 2000 file. Talos has coordinated with Kakadu to ensure relevant details regarding the vulnerabilities have been shared. In addition, Talos has developed Snort Rules that can detect attempts to exploit these flaws. This post is authored by Matthew Molyett. In March, Talos reported on the details of Crypt0l0cker based on an extensive analysis I carried out on the sample binaries. Binaries -- plural -- because, as noted in the original blog, the Crypt0l0cker payload leveraged numerous executable files which shared the same codebase. Those executables had nearly identical functions in each, but identifying all of those functions repeatedly is tedious and draws time away from improving the analysis. Enter FIRST, the Function Identification and Recovery Signature Tool released by Talos in December 2016. FIRST allowed me to port my analysis from the unpacking dll to the payload file instantly. Once I was satisfied my analysis across both files, I was then handed a suspected previous version of the sample. FIRST was able to identify similar code across the versions and partially port the analysis back to the older file. When the next version of Crypt0l0cker comes out, I will be able to get a jump on my analysis by using FIRST to port that work forward to the similar code. You can use it to port my work to your sample as well. I will demonstrate doing just that with a Crypt0l0cker sample which appeared on VirusTotal in April 2017, more than a month after the Talos blog about it. There has been no targeted analysis of this file to provide background for this post. Procuring a malware sample of a known family without analyzing it can feel like a heavy challenge to overcome. Thankfully, Talos can leverage Threat Grid sandbox reports of suspected malware samples that we receive. Such reports can be scanned for family IOCs. Per our previous analysis into Crypt0l0cker, the infection status of that version is stored in a file named ewiwobiz. By searching Cisco Threat Grid telemetry for files which created ewiwobiz, I identified a file which was probably a Crypt0l0cker executable.